If you are experiencing chronic severe neck or lower back, failed previous epidural injections, exhausted conservative therapies such as physical therapy, and various medications with no relief? Our pain specialist Dr. Bajaj is a highly experienced expert in accurately diagnosing often misdiagnosed conditions. Dr. Bajaj can provide you with personalized interventions based on your specific injury. Are you experiencing neck or back pain upon movement? Facet joints in your spine allow movement located on the left and right side of each vertebra. If there is any inflammation/injury within a cervical, thoracic, or lumbar facet joint, very small nerves referred to as medial branch nerves transmit pain signals directly to the effected joints. If you are a candidate after reviewing your MRIs, our renowned pain specialist Dr. Bajaj at Remedy Spine & Pain Solutions in our Los Angeles office (thinkrps.com) offers medial branch block injections which are diagnostic and can be theruarpic in nature for a short period of time which helps Dr. Bajaj determine if these particular nerves are the main cause of your pain. If there is relief for a short period of time after two of these separate injections, it signifies that the medial branches were correctly and accurately targeted and the source of the pain. Therefore, it would warrant a safe, low risk, minimally invasive, non-surgical procedure called a radiofrequency ablation otherwise referred to as a rhizotomy with very minimal recovery time. How? Dr. Bajaj at Remedy Spine & Pain Solutions in our Los Angeles office (thinkrps.com) utilizes X-ray guidance to safely and accurately allow the insertion of a very small thin needle and inject contrast solution which is specifically designed to make sure the nerve is precisely targeted. A thin needle electrode placed adjacent to the effected facet joint. Next, a small amount of electrical current is passed through the needle to assure it is next to the intended nerve. Next, a numbing medication (anesthetic) is injected to desensitize the nerve. Next, the needle tip heats up via the electrode to cauterize/burn the nerve via radio waves which aids in stopping the pain transmission very similar to how an oral nerve is deadened during a root canal. It may take up to four weeks before symptoms improve since outcome may vary. 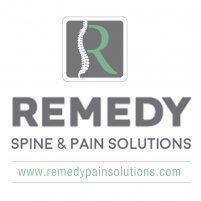 Symptom relief may vary from 6 months and up to 24 months since the nerve roots do regenerate. The injection does not involve steroids. If you are interested in innovative modern approaches to pain management, make an appointment with our experienced pain specialist Dr. Bajaj at Remedy Spine & Pain Solutions in our Los Angeles office for a consultation to determine if you are a candidate for a Rhizotomy or visit thinkrps.com.